Join us for this very special evening with Dee Reilly, the Irish American Country Star and the famous, Andy Cooney and His Band. Show is free and seating first come first serve. 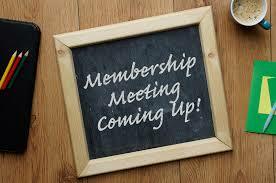 On the second Friday of every month all GAC members are invited to attend the Monthly Membership meeting. The purpose of the meeting is to update members on club operations and the on goings of the many committees, socials, and activities that take place on a regular basis. This meeting is when some of the most important decisions for the club take place. If you’re interested in the future of the GAC and want to contribute to its prosperous future, then should attend the next meeting.